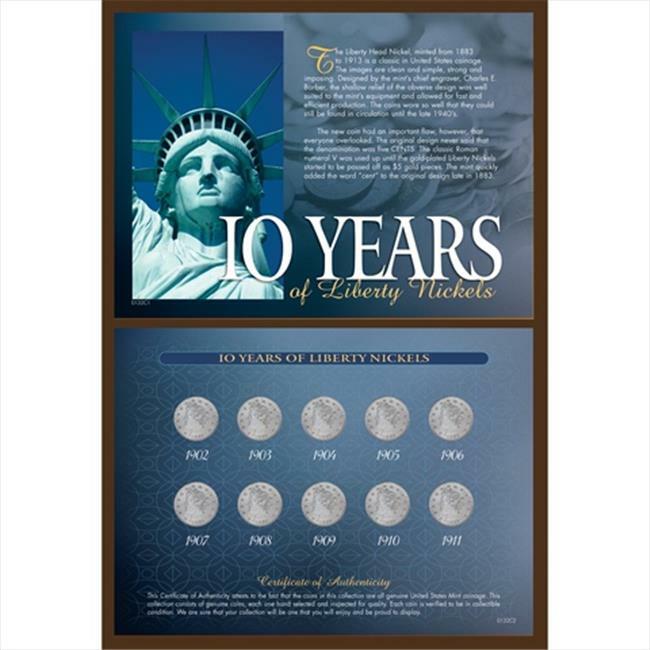 Own ten years of the Liberty Head Nickel with this well-priced collection. One of America's most interesting vintage coins, it was designed in 1883 by Charles E. Barber. Features the low profile silhouette of Lady Liberty surrounded by stars representing the original thirteen colonies. Real all about the rather scandalous history of the coin in the narrative printed on the impressive display which holds the Liberty Head Nickels minted 1902-1911. Comes with a Certificate of Authenticity.